Dr Jen Muggleton is Principal Research Fellow within Engineering and Physical Sciences at the University of Southampton. 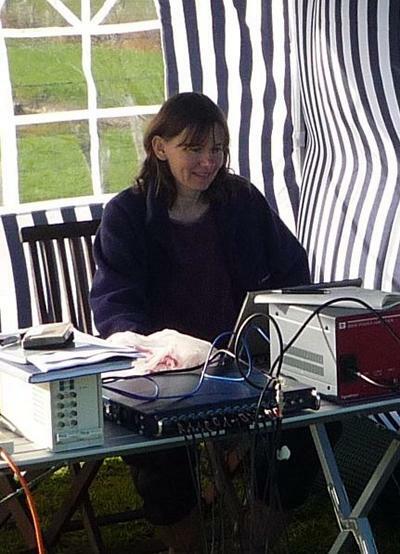 Jen Muggleton is a Principal Research Fellow in the Dynamics Group within the Institute of Sound and Vibration Research (ISVR) in the Faculty of Engineering and the Environment. Her main research interests are wave propagation in pipes and in the ground, particularly relating to leak detection and the detection of buried objects. The currently leads the vibroacoustics work in the internationally renowned Mapping the Underworld programme. Jen graduated from Imperial College, London in 1985 with a first class honours degree in Aeronautical Engineering. She subsequently registered for a PhD at the ISVR, whilst being employed at the Admiralty Research Establishment at Portland, Dorset. During her time at Portland she worked mainly on sound propagation and radiation problems concerned with submerged structures. In 1992 she completed her PhD entitled ‘Acoustic power flow in fluid filled tubes and cavities’. In 1994 she returned to Southampton as a Research Fellow in the Mechanical Engineering Department, and spent the next four years working on the biomechanics of the human spine, along with image processing and analysis of fluoroscopic images of the human spine in motion. This resulted in the development of the OSMIA system for back pain. 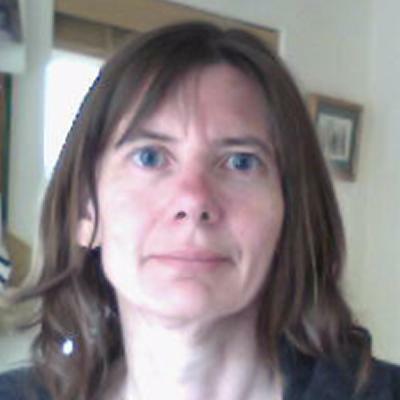 In 1999 Dr Muggleton was appointed as a Research Fellow in the Dynamics Groups within ISVR where the main focus of her work has been on wave propagation in pipes, initially relating to water leak detection and, more recently, to buried pipe location and detection. In 2004 she instigated the vibroacoustic element of Mapping the Underworld in which she has been extensively involved ever since. In addition, she has undertaken research on automotive tyre vibration as well as on a number of other smaller structural dynamics projects. In 2007 she was promoted to Principal Research Fellow. Detection & location of buried infrastructure using vibration techniques. Acoustic leak detection in pipes. Mapping the Underworld (MTU) is an on-going 12-year multi-disciplinary and multi-university research programme largely funded by the EPSRC, bringing together experienced researchers with a range of different expertise. Muggleton, J., & Rustighi, E. (Accepted/In press). A novel method for the remote condition assessment of buried pipelines using low-frequency axisymmetric waves. Journal of Physics: Conference Series, 1-9. Muggleton, J. (2016). Mapping the Underworld. Water and Sewerage Journal, 23-24. Muggleton, J. M., & Brennan, M. J. (2012). The use of acoustics in the water industry. Water & Sewerage Journal, 2012(4), 35-36. Brennan, M., Joseph, P., Muggleton, J., & Gao, Y. (2006). The use of acoustic methods to detect water leaks in buried water pipes. Water and Sewerage Journal, (1), 11-14. Muggleton, J. M., & Brennan, M. J. (2002). Axisymmetric wave propagation in buried, fluid-filled pipes: effects of the surrounding medium. Proceedings of the Institute of Acoustics, 24(2). Muggleton, J. M., Mace, B. R., & Brennan, M. J. (2002). Dynamic response prediction of a pneumatic tyre: an orthotropic plate wave. Proceedings of the Institute of Acoustics, 24(2). Breen, A. C., Muggleton, J. M., Kondracki, M., Wright, J., & Morris, A. (2002). Lumbar spine motion palpation compared with objective interverteral motion analysis: preliminary findings. European Journal of Chiropractic, 50, 27-32. Brennan, M. J., Liguore, S., Mace, B. R., Muggleton, J. M., Murphy, K. D., Petersson, B. A. T., ... Shen, R. (Eds.) (2006). Proceedings of the Ninth International Conference on Recent Advances in Structural Dynamics. Southampton, UK: University of Southampton. Muggleton, J. M., Brennan, M. J., & Pinnington, R. J. (2004). A novel sensor for detecting leaks in buried plastic water pipes. In Eleventh International Congress on Sound and Vibration (pp. 3549-3556). St. Petersburg, Russia: Monomax. Rustighi, E., Leclere, Q., & Muggleton, J. (2018). Apodization and phase methods applied to the seismic detection of underground objects. In ISMA2018-USD2018 Proceedings ISMA Publications. Scussel, O., Brennan, M. J., Muggleton, J. M., de Almeida, F. C. L., & Paschoalini, A. T. (2018). Model-based optimization of axisymmetric wave motion in buried plastic water distribution pipes. In ISMA2018-USD2018 Proceedings ISMA Publications. Bonisoli, E., Brennan, M. J., Ferguson, N. S., Forte, P., Ghandchi Tehrani, M., Hirata, M., ... Zhang, Z. (2016). Proceedings of the XIII International Conference on Motion and Vibration Control XII International Conference on Recent Advances in Structural Dynamics. MoViC 2016: Motion and Vibration Control RASD 2016: Recent Advances in Structural Dynamics, United Kingdom. Iodice, M., Muggleton, J., & Rustighi, E. (2015). A multi-component approach to the seismic characterization of real multi-layered media. Poster session presented at International Symposium Non-Destructive Testing in Civil Engineering (NDT-CE), Germany. Iodice, M., Curioni, G., CHAPMAN, D., Muggleton, J., Royal, A., & Rustighi, E. (2015). Joint use of seismic and electromagnetic methods in geophysical surveys. Poster session presented at International Symposium Non-Destructive Testing in Civil Engineering (NDT-CE), Germany. Iodice, M., Rustighi, E., Muggleton, J., Sas, P. (Ed. ), Moens, D. (Ed. ), & Denayer, H. (Ed.) (2014). Comparison of soil excitation methods for surface wave speed measurements. 1991-2006. Paper presented at ISMA2014 (including USD2014): the International Symposium on Musical Acoustics, France. Royal, A. C. D., Rogers, C. D. F., Atkins, P. R., Chapman, D. N., Chen, H., Cohn, A. G., ... Wang, P. (2011). Mapping the Underworld: A Step-Change in the Approach to Utility Location and Designation. 1589-1597. Paper presented at ICPTT 2011: Sustainable Solutions for Water, Sewer, Gas, and Oil Pipelines Proceedings of the International Conference on Pipelines and Trenchless Technology 2011, China. Muggleton, J. M., & Brennan, M. J. (2010). 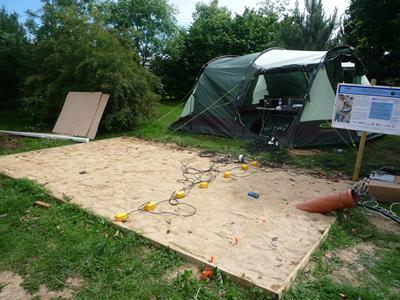 An assessment of laser vibrometry for the measurement of ground vibration. In M. J. Brennan, I. Kovacic, V. Lopes, K. Murphy, B. Petersson, S. Rizzi, & T. Yang (Eds. ), Recent Advances Structural Dynamics: Proceedings of the X International Conference (pp. 12pp). Southampton, GB: University of Southampton. Muggleton, J. M., Waters, T. P., & Mace, B. R. (2006). Determining the dynamic properties of joints in piping systems. International Conference on Noise & Vibration Engineering. ISMA 2006, . Muggleton, J. M., Waters, T. P., & Mace, B. R. (2006). Measuring the reflection and transmission coefficients of joints in piping systems. Ninth International Conference on Recent Advances in Structural Dynamics, . Muggleton, J. M., & Brennan, M. J. (2006). The use of acoustic methods to detect and locate underground piping systems. In Proceedings of the Ninth International Conference on Recent Advances in Structural Dynamics (RASD2006) (pp. 4pp). Southampton, UK: University of Southampton. Lee, S. K., Mace, B. R., & Muggleton, J. M. (2006). Wave propagation, reflection and transmission in non-uniform beams. In ICSV13 CD-ROM Proceedings International Institute of Acoustics and Vibration. Muggleton, J. M., & Brennan, M. J. (2004). The effects of wall discontinuities on low frequency axisymmetric wave propagation in fluid-filled pipes. In Proceedings of the Institute of Acoustics Spring Conference 2004 (pp. 103-114). St. Albans, UK: Institute of Acoustics. Muggleton, J. M., Brennan, M. J., & Linford, P. W. (2003). Axisymmetric wave propagation in elastic, fluid-filled pipes: wave number measurements on an in-vacuo and a buried pipe. In Proceedings of the 8th International Conference on Structural Dynamics Recent Advances (pp. 12pp). Southampton, UK: University of Southampton. Brennan, M. J., Muggleton, J. M., & Mace, B. R. (2002). A simple wave model to predict the vibration of a car tyre. CDRom. Paper presented at 6th International Symposium on Transport Noise & Vibration, . Gao, Y., Brennan, M. J., Mace, B. R., & Muggleton, J. M. (1970). Person recognition by measuring the ground reaction force due to a footstep. Paper presented at 9th International Conference on Recent Advances in Structural Dynamics, . Muggleton, J. M. (Author), & Hart-Davis, A. (Author). (2012). Mapping Britain's underworld. BBC Radio 4, May 25th 2012. Digital or Visual Products, BBC Radio 4. Rogers, C. D. F., Overton, C. G., Cohn, A. G., Pennock, S. R., Jenks, C. H. J., Muggleton, J. M., ... Parker, J. (2012). Mapping the underworld. Birmingham, GB: Engineering and Physical Sciences Research Council (ESPRC). Muggleton, J. M. (2010). Mapping the underworld multi-sensor device creation, assessment, protocols: Acoustic technologies advancement to support multi-sensor device. An assessment of the use of a scanning laser to measure ground vibration. (ISVR Technical Memorandum; No. 986). Southampton, GB: University of Southampton. Gao, Y., Brennan, M. J., Joseph, P. F., & Muggleton, J. M. (2002). Use of cross-correlation for leak detection in plastic pipes. (ISVR Technical Memorandum; No. 901). Southampton: University of Southampton, Institute of Sound and Vibration Research. Muggleton, J. M., Brennan, M. J., & Pinnington, R. J. (2001). Development of a water pipe monitoring system for leak detection: experimental work. (ISVR Technical Memorandum; No. 860). Southampton, UK: University of Southampton, Institute of Sound and Vibration Research.